We do corded drill reviews so that we can evaluate the best tools for concrete professionals, painters, and more. This section includes reviews of rotary hammer drills, demo hammers, corded impact wrenches, and more. With cordless drills gaining ground, some applications still require tools with more power. 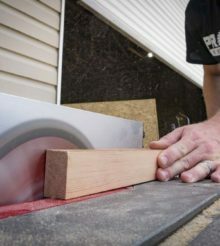 As power tool innovations continue, that gap narrows, but for now some jobs continue to require a cord. Some advanced products, like the Makita AVT technology available in their rotary hammers and demo hammers, improve ergonomics. From vibration reduction technology to advanced dust collection, corded drills retain jobsite relevancy. Depending on your application, we’re finding that light weight models with new brushless motors are performing as good as yesterday’s larger tools. That means less fatigue with just as much drilling. 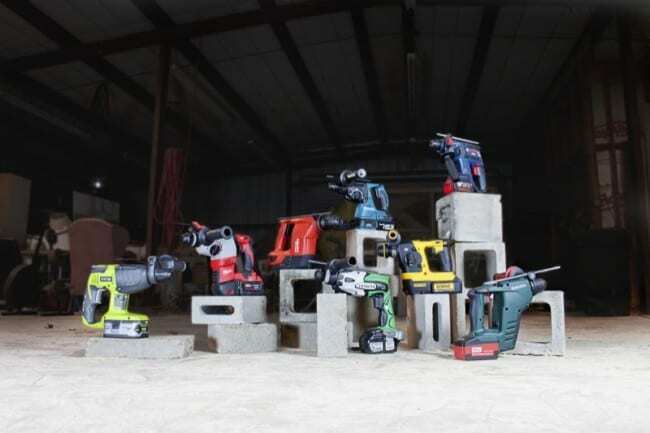 Whether it’s a demo hammer, rotary hammer, or corded mixer, we’ve got you covered.